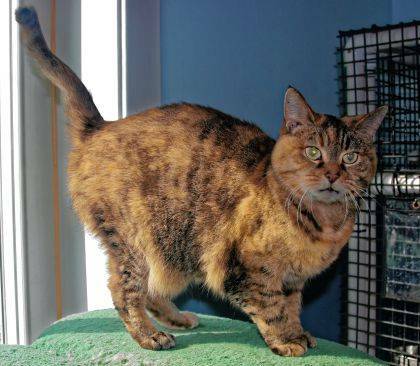 Sweet Kit Kat, age 6, is waiting for a family - or person - to visit PAWS Animal Shelter and choose her to take home. Together for six years, Sam, Grace and Sophie (6- and 7-year-olds) are available for adoption at the Champaign County Animal Welfare League due to their owner’s poor health. 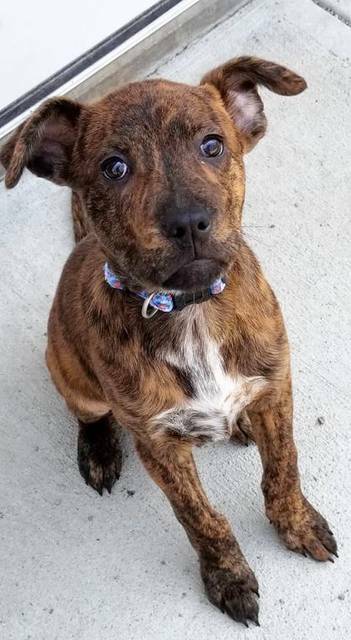 Six-month-old Paris was rescued and taken to the Champaign County Animal Welfare League, where caretakers hope her next lucky break will be adoption into a loving household. Xenia arrived at Barely Used Pets courtesy of a dog warden from another county. Perhaps she’ll be a perfect addition to your household? I’m such a sweet girl. My name is Kit Kat and I’m 6 years old, fully vetted, feline leukemia negative, spayed and declawed. I love people and enjoy being brushed and fussed over. I’m very fond of my cat bed so it will need to go home with me. Do you have room for me and my bed at you’re house cause I would love to make your home my forever home..Come visit me at Paws Animal Shelter, 1535 W State route 36 Urbana, Ohio 43078..937-653-6233..pawsurbana@hotmail.com Paws is a non profit shelter that runs on donations only, We are always in need of the following: Bleach, laundry soap, dryer sheets, paper towels, Dawn dish soap, Hand soap, Purina cat & kitten chow, cat treats, canned kitten & cat food( Pate’), kitten milk, Purina Dog chow, dog treats and monetary donations are always accepted for our never ending vet bills..If your looking for a new forever friend to bless your home come on out to Paws and meet Kit Kat and all her feline friends..You’ll be glad you did. “I gave a dog my heart. It’s yet to be broken.” Champaign County Animal Welfare League (CCAWL) has a big pet of the week announcement. We would like to introduce to you, Sam, Grace and Sophie. Sam is a 7-year-old Akita who is attached to his siblings. Grace and Sophie are both 6 year old Cavalier King Charles Spaniels. These 3 have been together for 6 years, and were owner surrendered due to the owner’s poor health. Sam, Grace and Sophie are spunky, lovable and looking for their forever homes. All 3 are house trained, spayed and neutered as well as being current on all vaccines including Bivalent Flu, Bordetella, D2PPL and Rabies. All 3 are microchipped and have had dental cleanings and extractions (if necessary.) If interested, you must have an approved adoption application which may be found on our webpage www.champaigncoanimalwelfareleague.com. An application may also be filled out in-house. We are located at 3858 State Route 56 Mechanicsburg, OH 43044. The CCAWL is a nonprofit organization that relies on the support and donations of the community. If you would like to support our mission, donations may be mailed or sent via PayPal and Facebook. You are welcome to drop off donations at our campus and take a tour of the facility. A list of needed items may be found on our Facebook page. “I’d spend all 9 lives with you.” Champaign County Animal Welfare League cat of the week is Paris. She is a 6-month-old dilute tortie mitten paw. Paris was a brought to us by a Good Samaritan who found this precious little girl in a crate during a storm. She is very playful and loves to be loved. Paris is litter trained, gets along with other cats and is looking for her purrfect, furrever home. Paris is spayed, microchipped and fully vaccinated including; FRCPP, Rabies and has been wormed. Paris has been tested FeLV/FIV negative and is on flea prevention. Our adoption fee for Paris is $50.00 cash, credit or debit card. For more information, please call us at 937-834-5236. Our hours are Wednesday through Saturday 12-5:30 pm and we are located at 3858 State Route 56, Mechanicsburg, OH 43044. Xenia was a stray in another county. She came to us through their dog warden. She is about 4 months old and about 20 pounds. She is going to be a medium-sized dog. She is very friendly. We were told she loves kids and doesn’t mind cats. We have to test her with Lollipop yet. She is scheduled to be spayed. Her adoption fee is $150 ,which includes her dog tags. Sweet Kit Kat, age 6, is waiting for a family – or person – to visit PAWS Animal Shelter and choose her to take home. 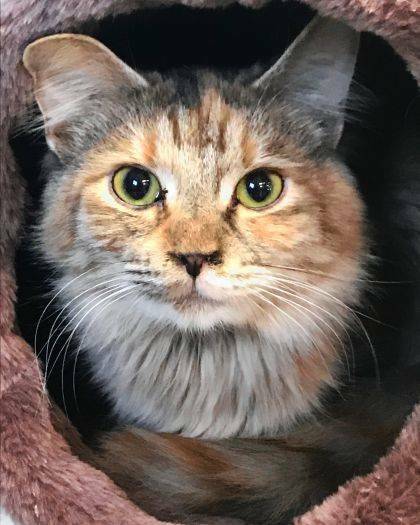 https://www.urbanacitizen.com/wp-content/uploads/sites/36/2018/04/web1_PAWSCatWeb.jpgSweet Kit Kat, age 6, is waiting for a family – or person – to visit PAWS Animal Shelter and choose her to take home. 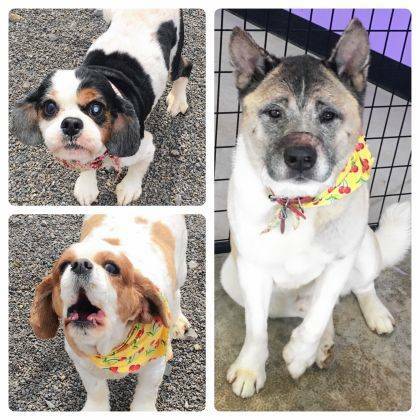 https://www.urbanacitizen.com/wp-content/uploads/sites/36/2018/04/web1_LeagueDogWeb.jpgTogether for six years, Sam, Grace and Sophie (6- and 7-year-olds) are available for adoption at the Champaign County Animal Welfare League due to their owner’s poor health. https://www.urbanacitizen.com/wp-content/uploads/sites/36/2018/04/web1_LeagueCatWeb.jpegSix-month-old Paris was rescued and taken to the Champaign County Animal Welfare League, where caretakers hope her next lucky break will be adoption into a loving household. https://www.urbanacitizen.com/wp-content/uploads/sites/36/2018/04/web1_BarelyWeb.jpgXenia arrived at Barely Used Pets courtesy of a dog warden from another county. Perhaps she’ll be a perfect addition to your household?